Siding your home isn’t a new and revolutionary tactic used by architects and construction workers. It’s been around for ages because of the many useful benefits it provides you with. There are even different types of siding you can use to give your house a different look to your neighbors. Everyone can follow the same basic formula, but standing out will give a lasting impression on your home. Vinyl, wood, composite, fiber cement and even stone veneers, are some of your options. Stay Dry has been in this industry for years and our success can only be attributed to our high-quality standards. In total, we have over a 100 years of experience and we’ve been able to stay in our hometown of Lansing, Michigan for over ten years because of this. We’ll even provide you with a lifetime warranty when you work with us, which can come in handy years later. Insulating your home is a vital part of owning a house. Without any proper insulation, air can leak out and cause your heating and cooling bill to rise to uncomfortable heights. As a matter of fact, up to 25 percent of air can seep out of your walls when it’s not properly insulated. All this air escaping isn’t just regular static air, it includes the air being blown out by your a/c unit. When the temperature you have set in place starts to move around uncontrollably then your air conditioning unit will work double time to place it in the properly placed temperature. This is one of the reasons why you don’t run the A/C when a window is opened. All your paid for air is starting to be replaced with the very thing you don’t want. However, a properly placed siding can avoid these unkempt problems. Cracks can start to develop in a home and it’s one of the main reasons why many people’s utility bill is astronomically high. These cracks let out your air conditioned air and swaps it with the outside climate. However, these cracks also create another problem most homeowners aren’t aware of. These cracks can hold in moisture, which will start to damage the structure of the house. Moisture gets trapped inside these cracks, because it is the opening available for them to move around in. When this moisture is stuck, it rots the foundation of the house. Living in Michigan means you are prone to colder temperatures, and when it gets cold enough for water to freeze it’ll further the damage being done. When liquid freezes it will expand in the already cracked foundation, making it easier to shatter and break. However, a durable siding will prevent this damage from occurring. Who Should Do My Siding? When it comes to deciding on who should do your siding work, there is a list of people out there saying they can satisfy you. However, none of them have the experience Stay Dry has accumulated over the years. For over ten years we’ve been able to give results leaving thousands of customers fulfilled. Our lifetime warranty ensures you will always have someone their to help you in your time of need. It doesn’t matter if it’s an emergency or a routine check-up we will try and get to you as soon as possible. 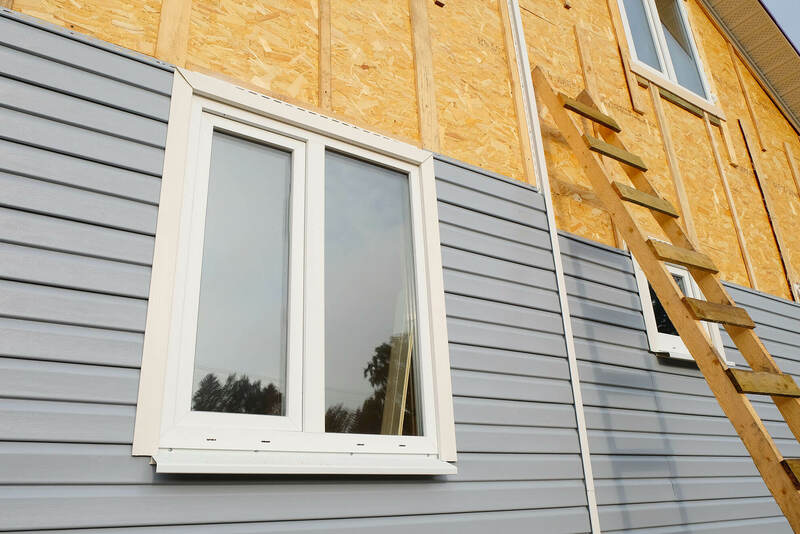 Contact us now to learn more about our other services or for a consultation on our premium siding.